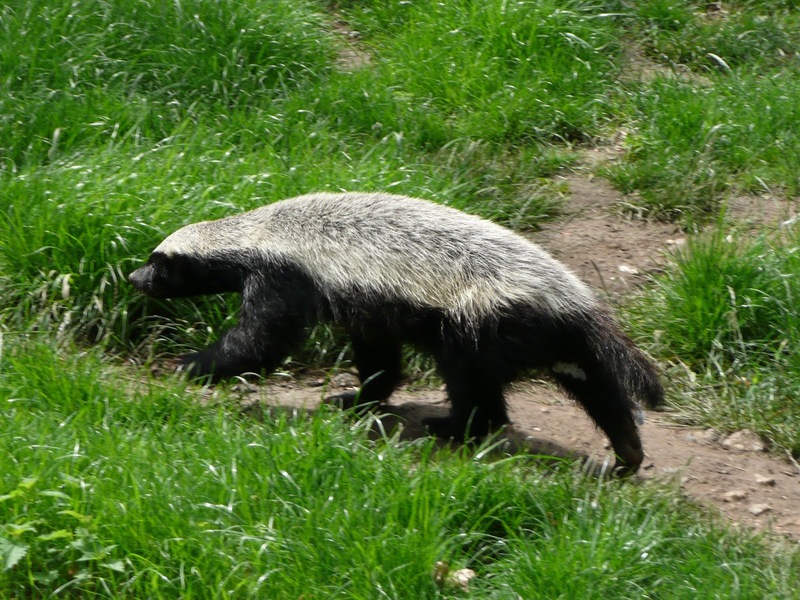 By re-reading a post from a friend of the honey-badger tribe, I realized how much in common it has with a known situation experienced in a recent past. Also, within this context, imagining you receiving a great market opportunity which requires deliver something with a fixed deadline. Looks like a case to continue doing what's done in the past to avoid taking risk of failure, but off course leaving the same picture as above regarding team processes. There is always the chance to be counterintuitive and use this greenfield project to boost the team processes to another level. The good thing is to have an organization aware of this issues and the willingness to support any change that improves the way they work. So, having this context, the willing to improve it and a deadline to fulfill, how would you do it? Having all these ingredients in mind you define a new way of working based on Respect, create space for continuously improve Communication, Collaboration and Learning. 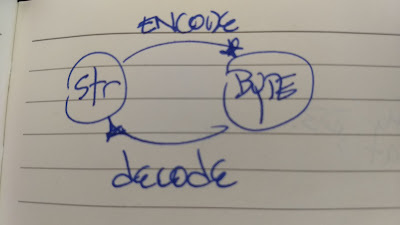 This new way of working has open doors to constants Feedback, the process will be constantly evolving and adjusting to our needs and conform, applying the Inspect and Adapt cycle ( see the twelfth principle of the Agile Software Development). Basically, you invert the pyramid by rejecting receive only solutions from the stakeholders and instead receive more customer oriented needs which allow the team to respond back with solutions created by themselves. Is important to emphasize that you don’t call this new way of working Scrum or Kanban nor XP, you just get some techniques of those frameworks and apply them into your context; and this is one of the key things we need to understand about agility: We aren’t more agile just because we do Scrum or eXtreme Programming, we should first understand the context in which we are playing and create our own process improve Adaptability, Risk Management and Innovation within the organization. 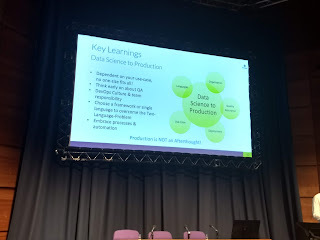 To achieve it I do agree on choosing the best practices and techniques from others methodologies or cultures like Scrum, Kanban, XP or DevOps just to mention some of them or create your own artifacts that simply leads the team or organization to that end. Retrospectives: Part of the previously mentioned feedback loop. They do it periodically, rotate the facilitator and set concrete actions to improve. Planning meetings: The conversation should be the focus in having a common understanding of the problem that need be solved using customer/business language. Then the teams should decide how to solve it. 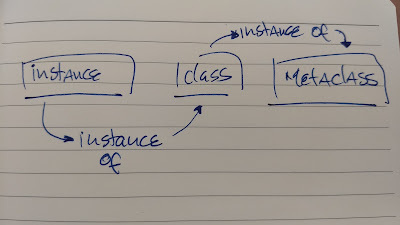 Working towards having Continuous Integration, which not only having a build server that runs tests for every commit but also has the team mindset that code should be integrated altogether the sooner the better avoiding long-lived branches and unwanted conflicts, errors and miscommunication. User Stories: Reduce the risk of failure by having granulated and acknowledging the added value. 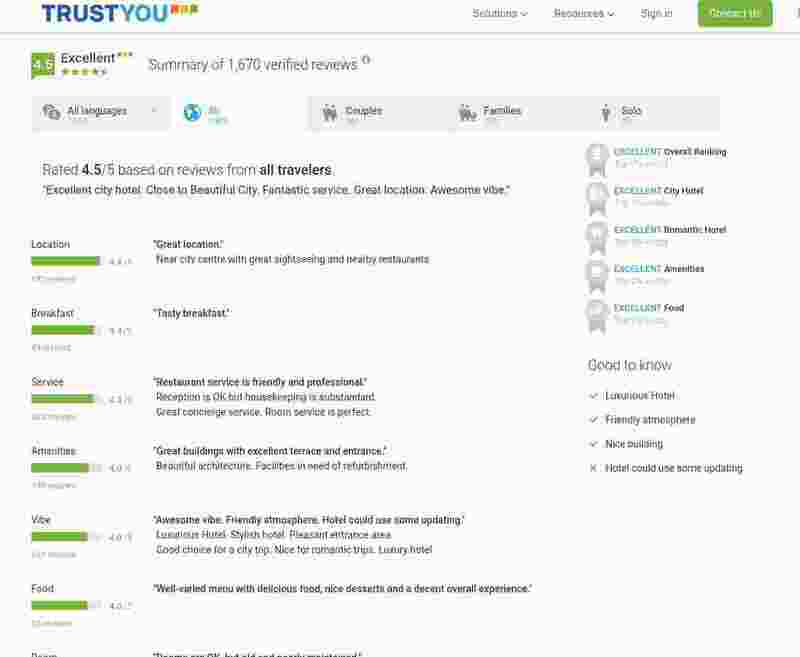 Reduce Work In Progress (WIP): To Increase focus, collaboration and detect bottlenecks. Demos: Another part of the feedback loop where several roles should meet and talk about the increments of the product. Sharing knowledge and checking if we are all moving in the right direction. Pair Programming: With the objective of sharing knowledge, reduce knowledge silos, increase team cohesion and improve code quality. Automated Testing: Still not Test Driven Development, maybe in the future. At the end of the deadline, the results talk by themselves by having a team behaving close to a self-organized and autonomous team, having collective ownership over the code, having better understanding of the product and the impact they have over it, understanding the process they follow to add value to the organization and how/when this process can be improved. All this can be achieved because the organization simply give them trust and freedom to do, fail, success and act in consequences. At the end of the deadline, the team should have been doing the right thing and after they should focus on doing things right. 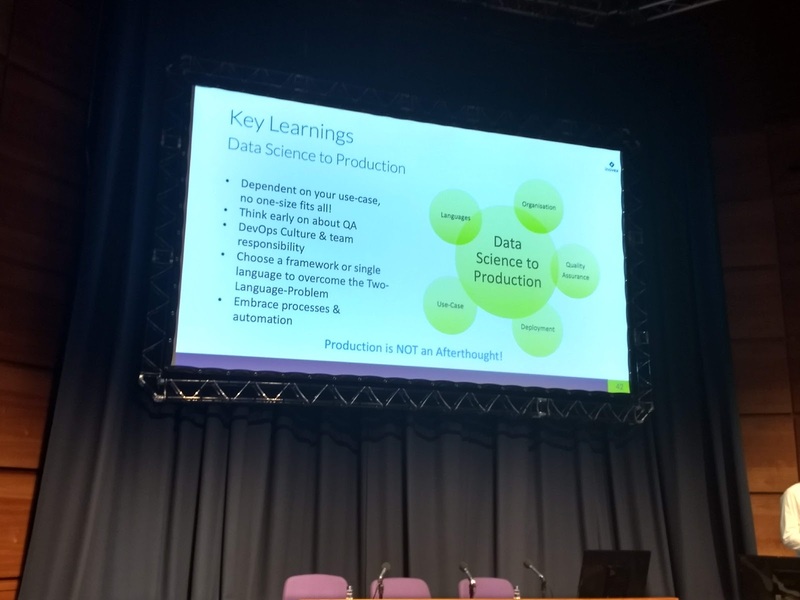 Meaning that you should first focus on the user needs, lean processes, feedback loop, ... ( the right thing ) and then look for technical excellence, reduce lead times, reduce feedback loops among others by polishing DevOps culture, XP practices, etc. Always keeping the continuous inspect and adapt cycle. 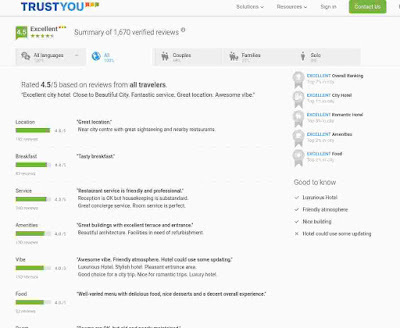 Last weekend (October 5-7) I attended, together with some colleagues from TrustYou, the PyConES conference in Málaga. 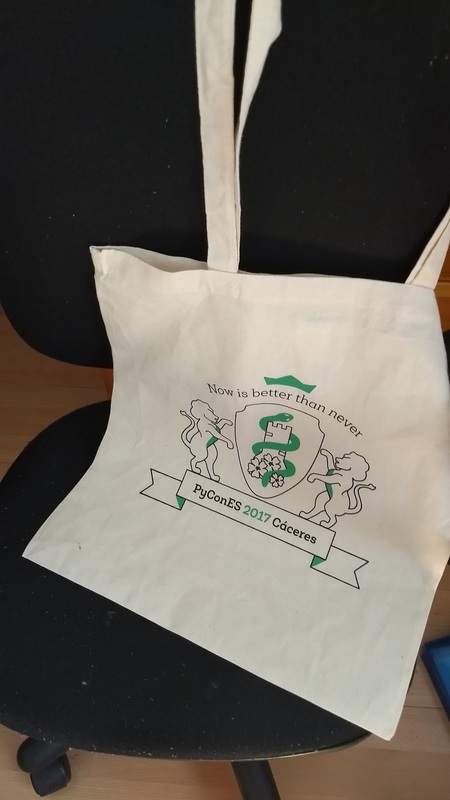 Like in PyConES-2017, this was an opportunity to meet again with the python community, meet new people and companies, meet with former colleagues and friends as well as browse the challenges they face. All this around a common denominator that in this case is Python. 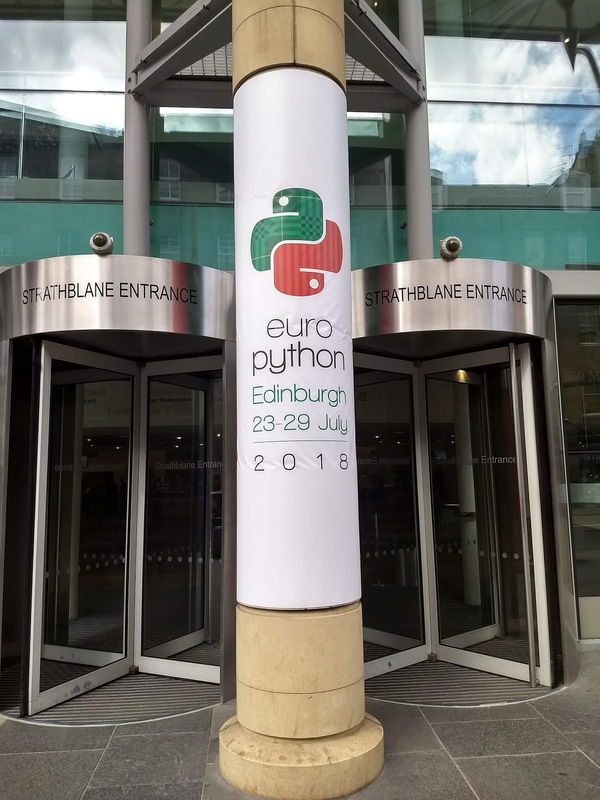 how Python is helping those things. 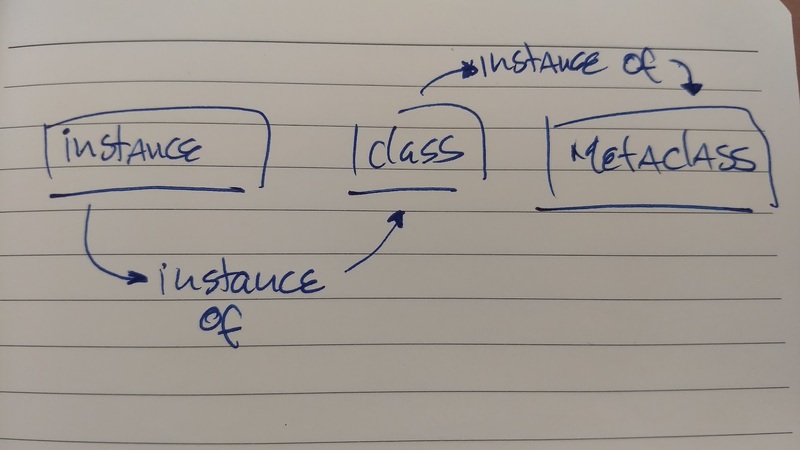 Where he walks us through the different stages of the python compiler: syntax, grammar, ASTs. together with some possible improvements that are being evaluated for future. You can check in detail the slides here. He explained how GIL works, talked about improvements in Python 3 over Python 2. It is always interesting to hear someone that really knows the inners of GIL. 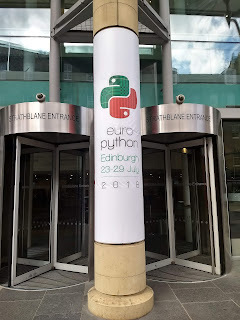 I appreciate the effort of Python España, Ebury, Yes we tech y Málaga Python for organizing this conference. 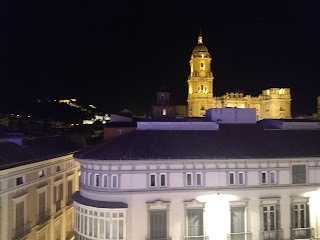 As I always highlight in my conference posts the best part of every conference is the networking and this was not an exception at all together with the beautiful city Málaga. El pasado fin de semana ( 22-24 de septiembre ) asistí, junto con algunos colegas de TheMotion, a la 5 edición de la PyConES en Cáceres. Es siempre una oportunidad para re-encontrarse con la comunidad, conocer nuevas personas y empresas, reencontraste con ex-colegas y conocidos además de curiosear y conocer retos a los que se enfrentan, todo esto en torno a un denominador común que en este caso es Python. 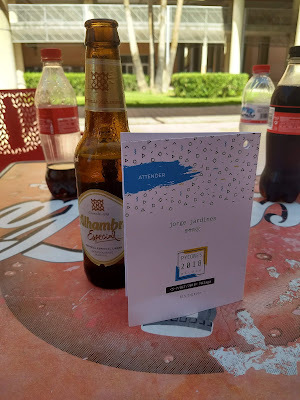 La organización del evento hasta antes de llegar al día de las conferencias me pareció genial brindando bastante información sobre el evento desde el momento de compra de entradas hasta agenda al detalle, pasando por detalles ( que tiene importancia ) como la localización del venue, como llegar a Cáceres, brindar opciones de hospedaje, de traslados, jobs board e incluso de hacer turismo en Extremadura. 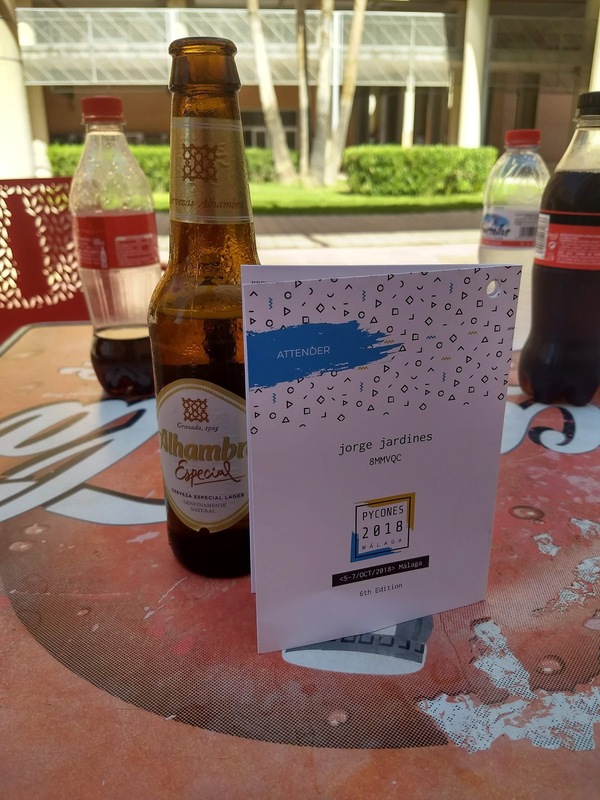 Agradecido por las cervezas de bienvenida dando paso desde el primer momento al networking e involucración con la conferencia. Dicho esto creo que aun existe margen de mejora, ejemplo de ello son los siguientes puntos. El formato del evento es muy tradicional en el sentido en que el flujo de conocimiento es mayoritariamente de un ponente a una sala, no creando más espacios para tener mesas redondas, talleres, charlas cortas, open space, mob programming, hackatons u otros formatos que hace el conocimiento fluir de otra manera. Una charla cada 30 minutos hace que el ponente tenga unos 20 minutos si queremos dar tiempo a preguntas y a cambiar de sala, lo cual hace muy difícil tener una presentación en profundidad de un problema y/o solución cuando se trata de temas complejos. Deberíamos aprovechar la versatilidad del lenguaje python incluyendo/invitando a los proyectos científicos a acercarse más a este evento y aportar a la comunidad así como aprender de ellos. El catering resulto ser muy pobre y en un sitio pequeño para tantas personas. Mis colegas y yo terminados comiendo fuera. Como dato adicional, mencionar a pynesis, un cliente open source de kinesis desarrollado por el equipo . 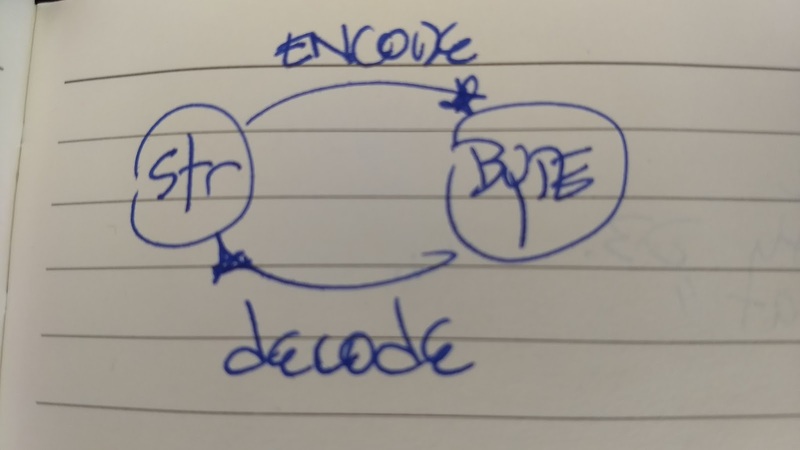 Muy interesante repaso histórico de como surge la codificación, empezando por Morse y pasando por ASCII, WINDOWS-1252, y UNICODE entre otros. Como dato curioso para mi el conocer un poco sobre Emoji y Fototipos. 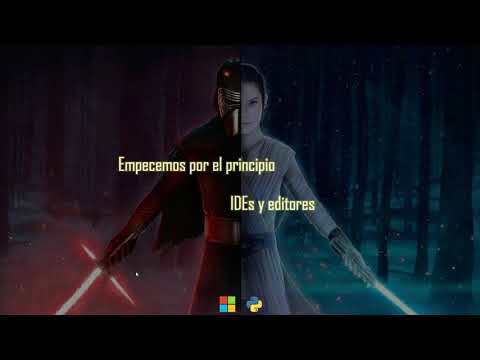 Tengo sentimientos encontrados con esta charla porque a pesar que creo que la buena utilización de idioms puede ayudar a la legibilidad y mantenimiento del código no creo que sea una unidad de medida para la calidad del código o del programador. 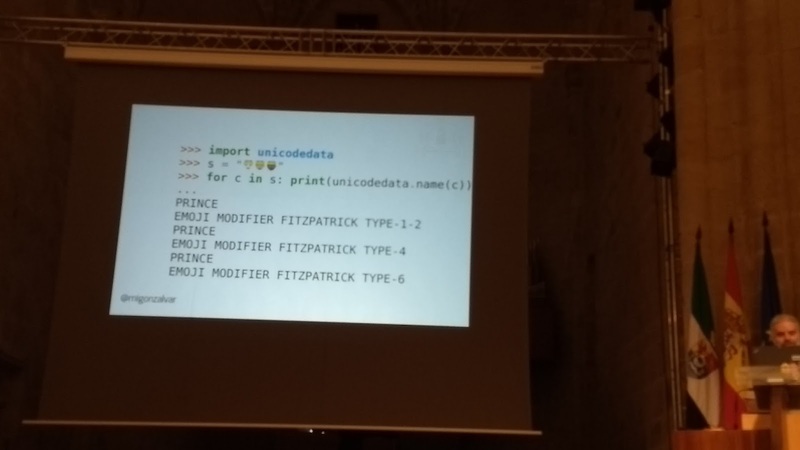 Dicho esto, creo que es un paso en la dirección correcta para el aprendizaje de Python como lenguaje. De estos días me quedo el networking como mayor aporte, creo que el equipo de TheMotion regresó más reformado y cercanos entre nosotros después de haber debatido y convivido varias cosas que el día a día nos impide por razones varias. Creo que hemos aprendido algunas cosas y al menos yo me vengo con un par para investigar más a fondo. 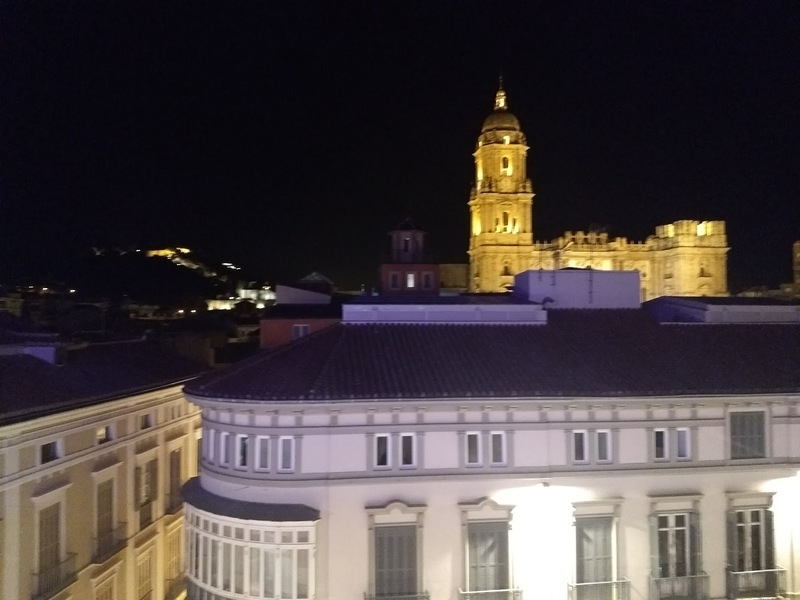 La próxima edición será en Málaga, solo por eso merece la pena ir, ( al menos no tendremos problemas con el transporte a Cáceres ☺). The feeling of pride of belonging to the university you studied at sounds like a common thing worldwide. But what if your university was in a 3rd world country, with poor/none internet access and lack of resources? Would we feel the same? Well ... YES. The University of Havana taught me to code without internet, something that I'll always appreciate because it forces me to really understand what's behind each line of code I write. I hope to keep this custom as long as possible. In our first years in "La Colina" my classmates and I wrote most of the software in paper sheets or in a lab at midnight, without internet but having us as the community to throw questions and catch answers. We were our own StackOverflow. This situation forced us somehow to consult books instead of surfing the internet, to figure out solutions instead searching them; taught us (or at least taught me) do not provide solutions or code that we don't understand, as an effect of being unable to copy/paste source code from the web. 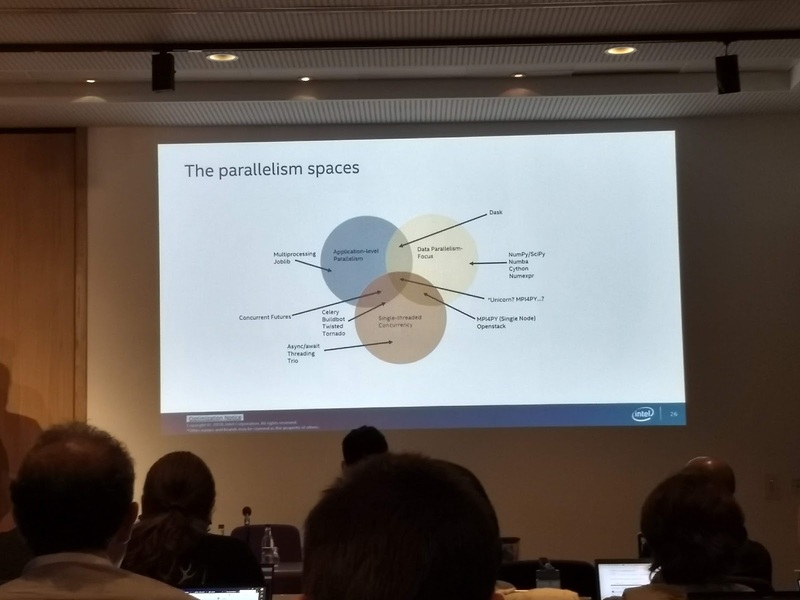 Combining the possibility of searching for existing solutions to the problem and believing in the religion of understanding the chosen solution before deploying is a strong weapon in a software crafter hands. I hope to never forget about this weapon, is the least I can do to thank back to my university for consciously or unconsciously providing it to me. I dedicate this post to Rene Raul ( founder of skyplanner ) and Dustin ( software engineer at Linkedin ) for sharing their related experiences.